These are the reviews for Keepers Cottage. There are 35 reviews. 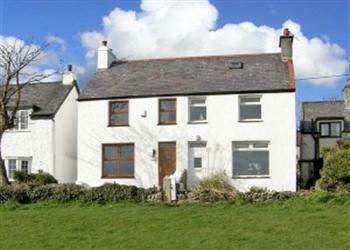 Excellent property in an ideal location for coastal walks and local eateries and pub. We have booked again for next year already. A really lovely cottage, which was well kitted out and very homely. We really enjoyed our stay. For future guests a clearer guide to the recycling process. Keepers Cottage is absolutely wonderful, it is tastefully furnished, well appointed and situated in a small village over looking the sea The views are spectacular, especially the sunrise each morning above the sea. A real gem on the beautiful Isle of Anglesey. We would not hesitate to rebook this superb cottage again. The location was excellent with lovely sea views. The cottage was well furnished and comfortable. A really lovely place to stay. It is a beautifully renovated Cottage. The house was warm and comfortable and the kitchen worked well for us. The views were fantastic and the location ideal. A beautiful accommodation in a stunningly beautiful and quiet location. This was our second visit to this cottage & it remains the perfect place to visit. A fabulous cottage in a beautiful setting, we had a great time and it was so relaxing. Ideal for exploring the island and to see the practice/training launching of the new Moelfre lifeboat. Thanks to the owner for another lovely stay at your cottage and best wishes for the future. Keeper's Cottage was brilliant and perfect for our needs. Owner was excellent and kept me informed about every thing. We all loved the village of Moelfrie and will definitely come back again to Angesley again.. It was perfect! We thoroughly enjoyed the tranquillity, peace and perfect ambience this cottage had to offer. The stunning views were even better than expected, it was a very warm and homely cottage. The owners were so helpful, professional and polite! Perfect, perfect, perfect. Our 4th stay in this cottage, had a lovely time, we were not short of anything. Had a well equipped kitchen. The location was a delight to sit and look at the sea. The cottage was in a peaceful area with a harbour a few minutes' walk away. The cottage was comfortable like a home from home. You will definitely enjoy your stay at Keeper's Cottage. Keeper's Cottage ticked all the right boxes for a lovely, quiet family holiday. What a beautiful place! I would recommend this my friends and family. The view was breathtaking. A wonderful stay. Excellent service. Everything went smoothly. Good communication with owners prior to going. Cottage in a beautiful location with stunning view, would lve to wake to this view everyday! Very well thought out holiday let. Only thing I never found was an ironing board...not truly missed! The owners have not skimped on furnishings, or comforts. Set in a lovely village, good pub. Great walks, and a good base for exploring the rest of anglesey. The peace and quiet was wonderful. This cottage was fitted out as a home, not as a holiday rental. Great attention to detail. The location was beautiful. Peaceful and scenic. Good communication, lovely view, cliff walks, plenty of hot water on demand and comfortable beds. We love the location of this cottage. The view is amazing. This is our 2nd visit here and we hope to return again. The cottage is so cosy and comfortable and delightfully furnished. The close access to the coastal path makes it perfect for our needs. A beautiful cottage in an amazing location. Perfect choice. 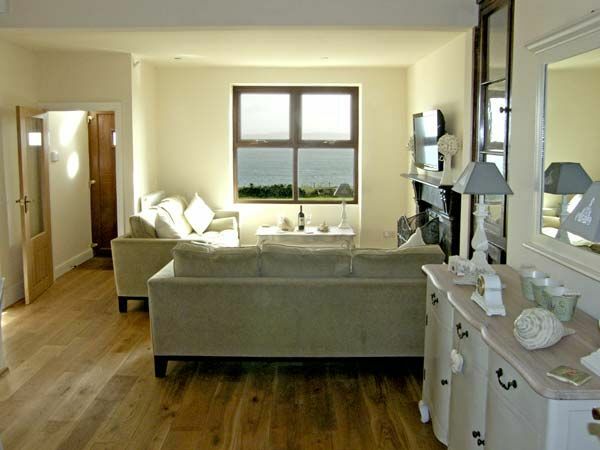 Excellently appointed property with beautiful views over sea at Moelfre. This is one of those rare places which really exceeds your expectations when you arrive. Fantastic relaxing holiday would love to return and will recommend to others. A lovely cottage which has been decorated & furnished very tastefully. Fantastic view ut to sea & walks from the doorstep. Comfortable and cosy cottage. Very steep stairs may be difficult for those less able. Cottage lacks coat hooks by the door for storage of out door wear. There was no hoover or access to a mop to clean the kitchen. The keys were stiff & difficult to use. Small court yard garden only. But we were generally very happy with overall holiday accomodation & location is spectacular. Location to sea and beaches was excellent. Good coastal walks. The location was stunning - perfection! Generally a lovely, comfortable cottage. Clean and bright cottage. Amazing views. Location of cottage was good with excellent views. Served as a good base for exploring Anglsey. The view from the cottage was outstanding and the coastal path was just down the road. A very well equipped cottage. Tastefully decorated with fantastic views across the bay. We enjoyed the view from the lounge window. We do like to book cottages with Sykes and have already booked another! The cottage! It was clean, fresh, elegant white furniture, just perfect. The kitchen was so well-equipped, I could've baked cakes/muffins and treated it as my own - but obviously I was on holiday so was not cooking all the time. My 2.5 year old daughter loved all the teddys (in white outfits), so adorable, she had to sleep with all of them and loved her bunk bed room. The 2 main bedrooms and living room have wonderful sea views which are so beautiful to see when you first wake up in the morning, during the day and at sunset. Truly a fantastic cottage and location was perfect too. Another great cottage from Sykes. Fantastic views and a very comfortable cottage. The village is lovely and the cottage makes a great base for exploring Anglesey and North Wales. There was so much to do and see we will have to go again. The owner was also very helpful. We absolutely loved 'Keeper's Cottage' and the village, not to mention the views, nature and fresh air. We have already recommended the cottage to others who have also booked. We will return in the future! Thanks for a great week! The spectacular views from the front of the house, the beautiful decor inside the house and the central heating quickly warmed up the chilly evenings! The biggest draw for this property are the uninterrupted seaviews (birds, dolphins and porpoise). It is very convenient for joining the island's coastal footpath. The furniture is tasteful and the rooms sympathetically decorated. There is a small patio to the front (altho' the adjoining property has pedestrian access through it). Moelfre is a nice unspoilt village with a small harbour. The view from the cottage was stunning! We are already thinking of next year, and Anglesey is beautiful. The property was lovely and we felt very settled there. If you're looking for other cottages around Keepers Cottage, we've got some cottages below which may take your liking. There are 83 cottages within 5 miles of Keepers Cottage - and they have reviews too.